There&apos;s room for everyone in this delightful front porch Colonial privately set on nearly an acre of level property at the end of a cul-de-sac street. Step inside to find the classic Kitchen with Breakfast Nook which opens to the spacious Family Room with mantled fireplace and access to the ample sized deck. A formal Living Room which is currently being used as a playroom and Dining Room plus the updated Powder Room complete the first floor. Upstairs is the private Master suite with bath as well as three additional bedrooms with a hall bath. Top it off with a finished walkout lower level perfect for a Rec Room, Office or Guest Room. 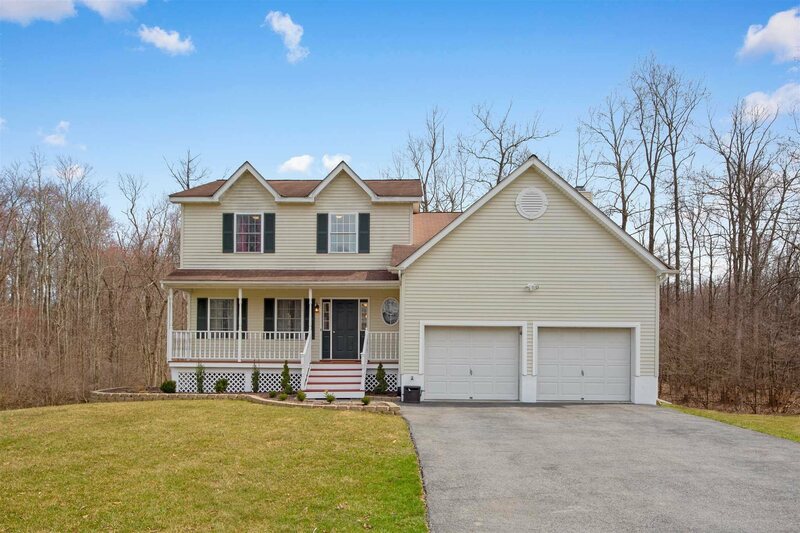 Ideal for commuters near the Metro-North, highway and plenty of shopping.